When you’re writing a series, one of the most important nuances is the setting. A setting can make or break the world you’re creating. It can cause a reader to lose interest. 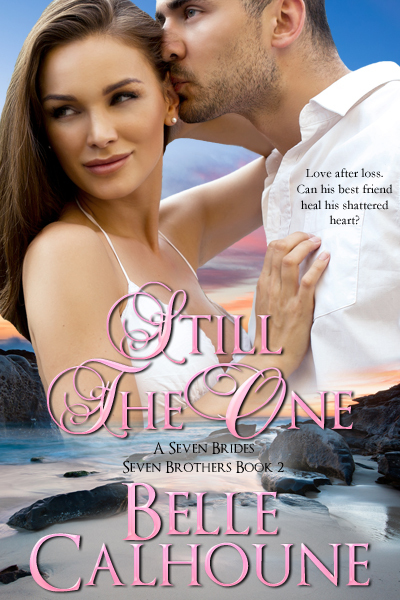 Imagine a romantic reunion romance between a shy heroine and a brash hero set in…a funeral home. Umm. Not such a great setting for romance, is it? Unless of course there’s some suspense involved. When I created my Seven Brides, Seven Brothers series I knew exactly where I wanted the Donahues to live. Cape Cod. Although the town of Breeze Point is fictional, Cape Cod is a beautiful stretch of towns and islands in Massachusetts characterized by their proximity to the Atlantic ocean. 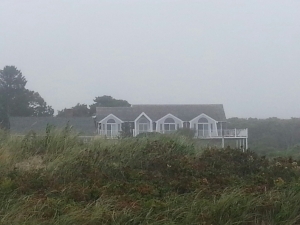 Having grown up spending idyllic summers in Cape Cod, it’s a place near and dear to my heart. Since I know Cape Cod like the back of my hand, it was very easy to create my world. Beaches. A quaint downtown area with stops and old fashioned benches. Endless miles of ocean. Lighthouses. Gorgeous sand dunes. Moonlight walks on the beach with the heroine nestled in the crook of the hero’s arms. Swoon! 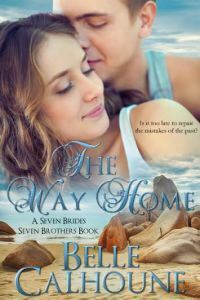 Although the characters and their romantic, faith-driven lives are the main focus of my books, I’ve truly come to believe that the setting is another character. In a series, readers love returning to a familiar, comforting world that they’ve previously inhabited. It’s like visiting an old friend. Comforting. Peaceful. Joyous. However, the characters need to match their setting. A Hollywood actress who craves the spotlight might not want to live in a seaside town, unless of course, it’s a fish out of water story. As a reader, I’m not sure I’d buy it. One of my characters, Blue Donahue, has been an international journalist. His decision to return permanently to Breeze Point makes sense since there are journalists making a living in small towns all over the United States. If he was an international Spy, I’m not sure a decision to live in small-town Cape Cod would be believable. 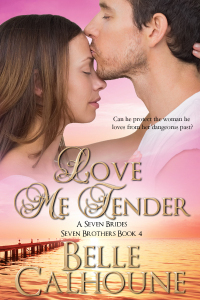 So, let me tell you about my Seven Brides, Seven Brothers Series. Although I’ve published three books to date in the series, there will be seven in total. And it’s been truly joyful to share these Christian Romances with my readers. The response has been heartwarming and way more than I ever dared to dream. The Donahues are a large, bustling family comprised of seven sons adopted from the foster care system by their parents, Alec and Maggie Donahue. Blue, Ryder, Remy, Nick, Brandon, Wyatt and Mac. Even though they’ve achieved major success as adults in their chosen professions, their hearts all lead them back to Breeze Point after their father becomes ill after having a stroke in the midst of a family celebration. 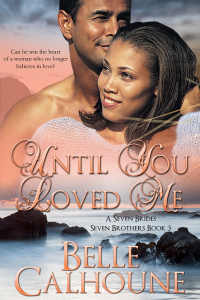 Each book focuses on a different brother and their path to finding true, lasting love. I love writing stories about characters coming home to a well-loved place where they have roots. And as a reader, I want the author to open me up to a place I might not be familiar with as a destination. I love reading books where I can almost feel the mood they’ve created. If the heroine is living in a pink Victorian house in Seattle, I want to be able to picture it in my mind’s eye. I received a wonderful email from a reader that pretty much summed it up. She wrote, “I love reading about the Donahue brothers. And thanks for introducing me to Cape Cod. I live in Kentucky and I’m not familiar with this area of the country. Keep up the good work.” I love when the readers connect with the setting and it resonates with them. My January Love Inspired book “Heart of A Soldier” is set in West Falls, Texas. It’s the sequel to my first Love Inspired book, “Reunited with the Sheriff.” Boy do I love writing about cowboys! I’m giving away a print copy of “Heart of A Soldier” to one person who leaves a comment. *Book won’t be arriving for a few weeks. Very good points, Belle. Thanks, also, for the giveaway. I will have to place your books on my wish list. aaaaah Belle, I have LOVED every book I have read of yours and I am sure that the Heart of a Soldier is just as awesome! Your SBSB series sound great and I am so glad you chose Cape Cod for the setting! The Cape is a beautiful and serene place, just made for romance!! Thanks so much for the opportunity to enter your giveaway and I certainly want to take this opportunity to wish you lots and lots of success with your sales of your latest! God’s Blessings be with you my dear sister in Christ. Thanks for stopping by Terri. 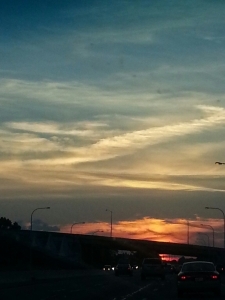 You gave me my first smile of the morning. Ruth! Thanks for stopping by. And you are so sweet! You are such a wonderful supporter of mine. Always so positive and loving. Honestly, you are an author’s dream. Bless you, Ruth. I can’t stand it–I have to go to Cape Cod now!!! I’ve enjoyed the Seven Brides for Seven Brothers series and I’m looking forward to more. You are awesome Belle Calhoune! Thanks, Piper. Right back ‘atcha. You do have to come to Cape Cod. Beautiful beaches. Delicious seafood. Cool breezes at night. Sand dunes. You’d love it! Thanks for stopping by. I am looking forward to reading“Heart of A Soldier” Thank you for the opportunity to win.Have a wonderful week. Thanks for stopping by Emma. So glad you’re looking forward to “Heart of A Soldier.” It was a labor of love. Thanks so much JoAnn. So glad we can bond over Massachusetts and the wonderful things about that state. We’re so lucky as authors to be able to introduce our readers to new settings….like your wonderful Scotland setting. Blessings! Thanks for stopping by Christy! You’re always so bubbly and sweet. Blessings to you. Good luck…you might win. I just bought and downloaded the first e-book in your series Seven Brides, Seven Brothers. The Cape Cod setting is so fitting since I love to go to the ocean but live almost 400 miles away in the mountains of West Virginia. Looking forward to reading this series. This series will be the ideal series to read when the snow starts flying in our mountainous area. Don’t even want to think about our wintry weather yet! 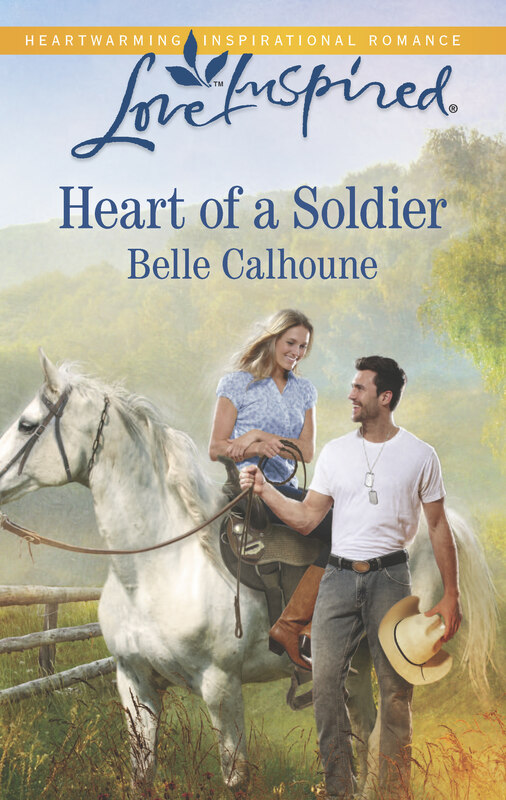 I would love to read your Heart of a Soldier book to be released in January. Hi Nancy! Hope you enjoy “The Way Home.” I’ve been to West Virginia once and it’s beautiful country. I remember seeing a lot of horses. A good friend of mine has a son who just started his freshman year at West Virginia University. Long way from home. Blessings! Hi Aerykah! First of all, what a beautiful name. Thanks for stopping by. And I’m so glad you enjoyed “The Way Home.” I also love small, loving communities like Breeze Point. They’re so fun to write about. Blessings! My late husband had worked as a cowboy for about 3 weeks when he was young. He said it was the hardest work he ever did (and that’s saying a lot!). Of course, he grew up in a totally different part of the country; mostly Alabama and then Tennessee. But who doesn’t love a good cowboy/cowgirl story every now and then! I would be delighted to read your book. Thank you for the opportunity to enter your Giveaway! Hi Faith. I have to admit, I’m very partial to cowboy stories. It’s such a classic part of Americana. And you’re lucky! Not many women could say they’re married to a former cowboy. Thanks for stopping by! Blessings. Hi, Agatha. Thanks for stopping by. Thanks for the compliment an for reading The Way Home. It’s been a lot of fun writing the series. Blessings. 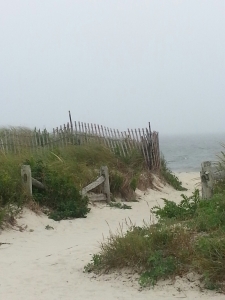 I’m far more familiar with the Pacific coast than the Atlantic, but maybe someday I’ll get a chance to visit Cape Cod! Sounds delightful. Hi Valerie. I hope you do get to visit. It is truly stunning. And I can honestly say, I’ve never had a single bad day in Cape Cod….and I’ve been spending summers there my whole life. Blessings. Such a great series! If you don’t have it, power up your kindle and download them tonight! I really love when an author creates a world and gives readers the opportunity to continue revisiting the world through the eyes of different characters in different situations. We get to go back to favorite spots and hopefully check in on old “friends” but also experience a whole new story. Hi Kristen! Thanks for the sweet words. I think world building is one of the most interesting parts of our jobs as authors. 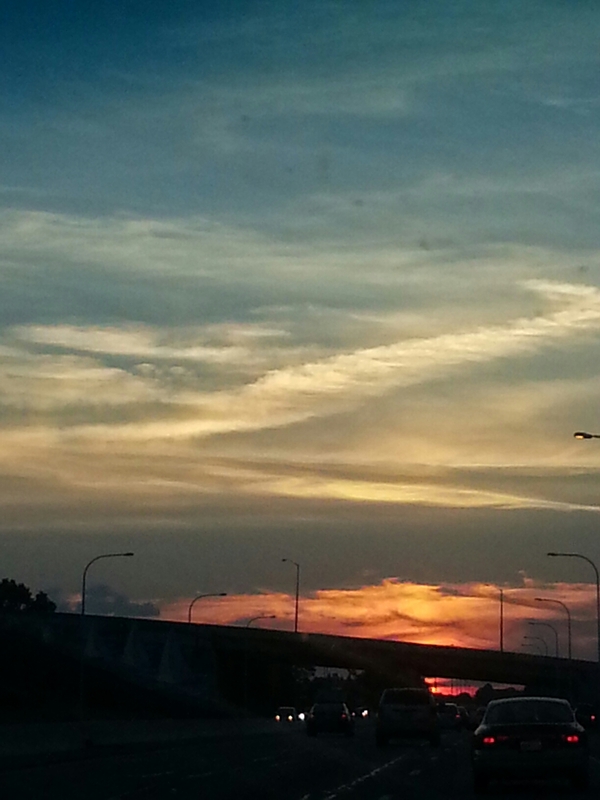 The sky is truly the limit. Blessings. It sounds so good. Being from Texas I love almost any book that is set in my home state.